Elon Musk doesn’t care about you. If he did, he would have details about the things that matter to customers and shareholders — the progress of the Model 3, his company’s profitability, and continued efforts to make his cars as safe as possible. I’m about to tell you something that might break your heart. Elon Musk doesn’t care about you. By you I mean his customers, Wall Street, his shareholders, his creditors, his employees, and anyone who just might be interested in learning more about electric cars. This lack of interest in anything you was on florid display during Tesla’s first quarter earnings call Wednesday evening. Musk had virtually no details on his cash-poor company’s progress solving the problems that will define its future. He had no details on when Tesla will meet production goals for the Model 3, how he’ll fix production issues, or how he plans to swing the company into profitability. Musk is more interested in the appearance of action at Tesla than action itself. That’s because, so far, the appearance of action has gotten him as much praise and adulation from the faithful as inaction. Musk is the anti-Cicero. For him seeming is as good as being. “Every metric that we’ve looked at internally suggests we are the best in class,” he said on the call, failing to discuss what those metrics are or any metric, really. 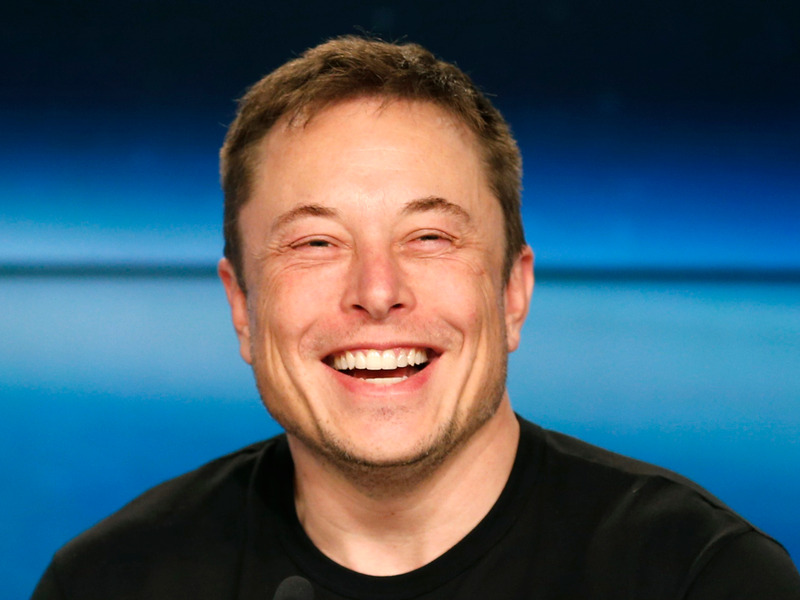 Seeming, so far, has done enough to give Elon Musk what he really craves — enough money to run his businesses with contempt for anyone who might question him, and (more importantly) the role of venerated leader of the cult of Musk. Everything else is just bothersome detail. That’s where my list of positives ends. Now back to those bothersome details, because that’s where you come into play. My colleague Matt Debord wrote that Musk’s contempt on the call was clearly, singularly for Wall Street. Debord’s assessment doesn’t go far enough for my taste (obviously), and far be it for me to defend the cabal of geniuses who gave the world such hits as the 2008 financial crisis and the tech bubble. This is not a game of Dungeons and Dragons with your friends. This is a business and your investors (shareholders and creditors) would like you to protect it. At some point during the call, with all of the enthusiasm of a Chinese politician reading out their guilty plea on state TV, Musk monotoned something about how he realizes Tesla “isn’t a real company until” it’s profitable. Even Adam Jonas, one of Wall Street’s most faithful Tesla fans, got the side of Musk’s tongue for suggesting Musk raise money while he could. This in the midst of reports that the company is burning cash at a mind bending rate. So no, Musk does not care about Wall Street bankers, and frankly that’s fine. But he also doesn’t care about his creditors and shareholders either. That is not okay. Where are the customers’ yachts (Teslas)? And then there’s the customers. On the call, Musk said he was focusing on Model 3 production, and as such is not focused on the Tesla Semi. We “haven’t really tried to sell the Semi,” he said. Oh, so you’ve accepted about 2,000 reservations and who knows how many thousands of dollars for a vehicle you haven’t really started working on manufacturing yet? Reports that Tesla is underpaying workers and undercounts their injuries have barely gotten attention. Perhaps that’s more of a reflection on us than it is on Tesla. Either way, add employees to the list of things Musk would rather not bother getting into detail about. 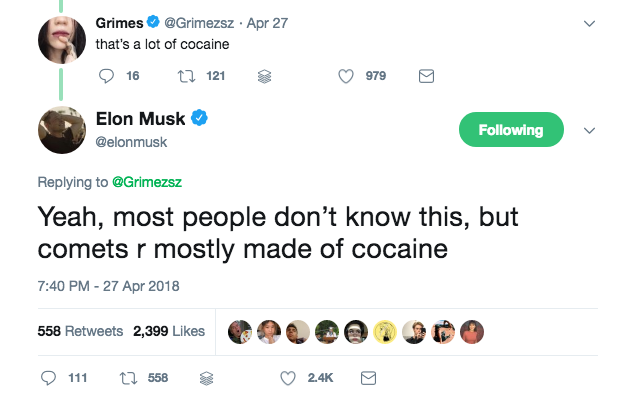 You know what else Musk does cares about? The media and the short sellers. These are two entities that can’t attack or change what Tesla is — only its perception. Nevertheless, these are two entities that bother him. Musk called short-seller attacks “hurtful” in Rolling Stone, and on the call he seethed about reporters who dared write about Autopilot crashes. I bring this up here because it should be clear to anyone with the desire to experiment with any new technology that there should be as much information in the public domain about it as possible. In this case we’re talking about the potential for a deadly car crash. Musk disingenuously compared coverage of traditional car crashes (the causes of which have been known for decades) with an Autopilot crash — the causes for which are still being understood. The comparison itself is an insult to anyone who might consider driving a Tesla at all, let alone on Autopilot. Which brings me back to my point — Musk doesn’t care about customers. Toward the end of the call someone asked if Musk could just please (please) send a tweet out or something when Model 3 production ramps up to 3,000 cars a week. The investor said he was concerned about the volatility of Tesla’s share price. Musk responded to this by telling the investor that if he didn’t have the stomach for volatility, he shouldn’t own Tesla’s stock.